Winter has arrived in the UK and with it the ice and snow that make the roads a challenge during this chilly season. Local authorities are busy gritting the roads, with rock salt from mines in Cheshire, Cleveland and Northern Ireland to help us stay safe. In fact, it’s estimated that for every £1 that is spent on winter road maintenance approximately £8 is saved in the economy overall! You may even see some of the more ‘famous’ gritters on your street. David Plowie and Gritsy Bitsy Teeny Weeny Yellow Anti-Slip Machiney are two of Doncaster Council’s gritters recently named by members of the public. While last year, Oldham council named one of their gritters Nicole Saltslinger after singer and X Factor judge, Nicole Scherzinger. Salt is widely used to keep our roads in the UK moving safely because of the ease with which it can be spread, it is cost-effective, available in large quantities from mines in the UK and it can be stored effectively for long periods of time without it losing its melting capability. 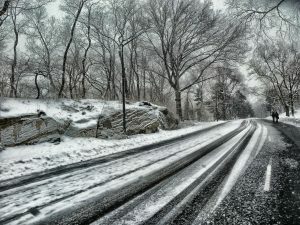 As well as the peace of mind that the roads are being kept clear of ice and snow as much as possible, there are a number of things you can do yourself to stay safe during the winter. If the weather is particularly bad only travel if the journey is necessary and allow plenty of time, prioritizing your safety above everything else. Make sure your windscreen and windows are free of snow and ice before setting off. Avoid sharp steering and harsh braking and acceleration. All of these things increase the risk of skidding in icy conditions so brake gently and, if your wheels start to lock up, ease off the brake. Reduce your speed and ensure that there is a sensible gap between you and the vehicle ahead – this could be up to ten times the usual braking distance depending upon the conditions. 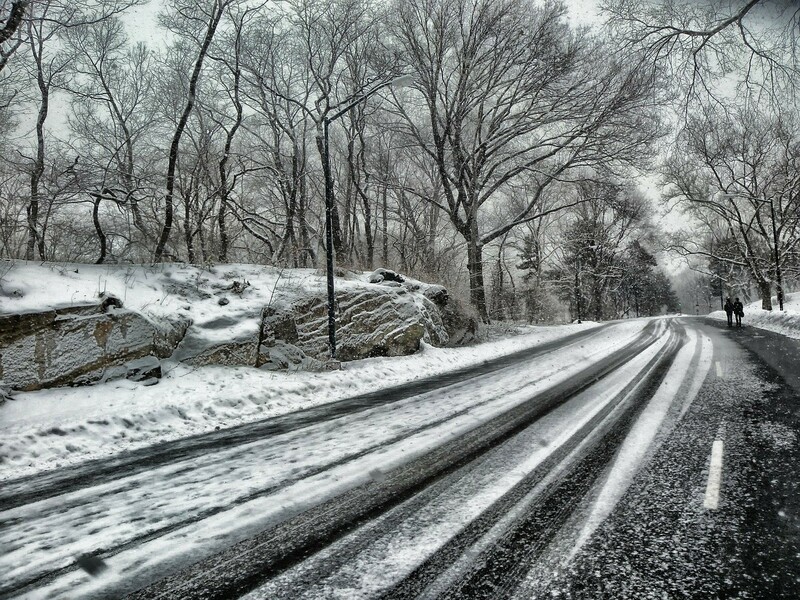 Be particularly careful on overpasses, bridges and lesser used roads as these are often the first to freeze. Even if the temperature is above freezing, you can still encounter icy patches if the roads are wet. Consider salting your own drive, path and any steps in your garden ideally with rock salt but table salt will work as well. When it comes to clearing your windscreen and windows of ice and snow, there are number of methods you can use but some are much safer and more effective than others. Using a credit card to scrape your windows should be avoided as it may scratch the glass and pouring hot water onto your car is risky as it can cause the glass to crack, due to the difference in temperature. De-icer sprays and a scraper work effectively but there is another way as well. You might consider making your own de-icer solution by mixing table salt and water in a spray bottle and spraying it onto your windows. Just be careful not to spray any metal work as salt is corrosive. You can also create your own frost guard by dunking a towel in your salt water solution and laying the towel over your windscreen overnight. The reason the salt water solution works so well is because it freezes at a much lower temperature than normal water and it is effective at melting ice. These simple steps can help you to stay safe this winter!